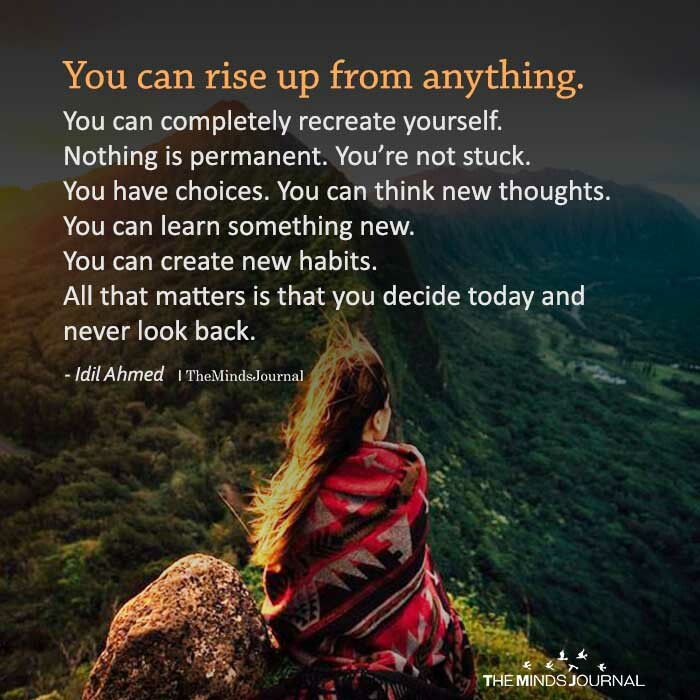 You can rise up from anything. You can completely recreate yourself. Nothing is permanent. You’re not stuck. You have choices. You can think new thoughts. You can learn something new. You can create new habits. All that matters is that you decide today and never look back. The Law of Attraction & The Secret I hope one day you give your heart to someone and they will hold it tight as if it’s their own. I hope one day you wake up and have something or someone to live for. I hope one day you can go to bed smiling without a worry in the world. I hope one day the battle is over and you’ve won. I hope one day you meet someone who makes you realize how beautiful you truly are. Huy Tran that is beautiful!